Click the Start Planning button below, to explore the possibility of your own Destination Wedding! 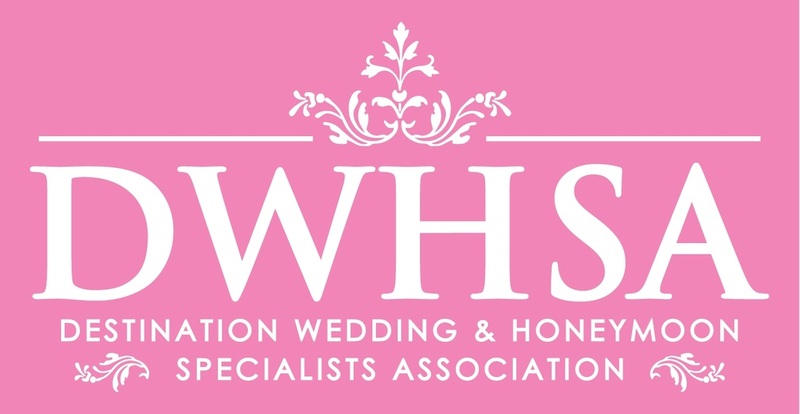 A qualified and knowledgeable Destination Wedding Specialist, Wendy is passionate about bringing your wedding day vision to life! She plays a critical role in guiding engaged couples through the myriad of options that are offered worldwide. Whether you envision a pristine beach, an intimate vineyard, a hillside villa or a blooming garden, Wendy will work with you to find the perfect location, perfect venue, to match your personality and budget! Wendy is your liaison, your advocate, your confidant...a bride's best friend! She works with vendors and wedding coordinators to streamline the entire process, and makes sure that everything is according to the wishes of the couple. 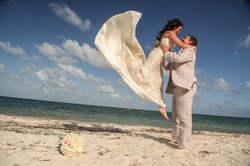 A Destination Wedding is not about the couple ﻿﻿alone...this is a special ﻿﻿vacation for friends and family, too! Wendy discusses travel options with each guest, as well as provides information on all aspects of the package and destination. In many instances, Wendy also accompanies the group attending the Destination Wedding, to insure a smooth check-in and memorable experience! 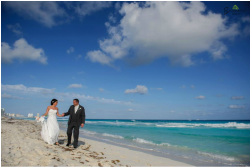 "Jason and I have used Play Your Way's services in the past and last year when we decided on a destination wedding we thought no further than to call Wendy and get started! Wendy assisted us with everything from setting up our website to send to our invitees, to coordinating the wedding events with the local wedding coordinator, to booking our trips, to answering guests questions (and they had a lot!) and booking all 53 of guests hotel, transportation and travel. When all of that went off without a hitch, our guests landed in Aruba at the Divi All Inclusive Resort and then the party started! This was truly a wedding/vacation we will never forget (my friends and family still haven't stopped talking about and we've been home for over a month!) Huge THANK YOU to Wendy for all your effort, attention to detail and keeping us on the wedding timeline track, we could not have done it without you! Cheers to our next trip :)"
"Wendy, I can't believe a week ago I was getting ready to marry the man of my dreams at the most incredible resort, surrounded by our family and friends. That said, I cannot begin to thank you enough for all the time and work you put into making our spreadsheets come to life! I never could have imagined that everything would fall into place the way it did...& that is really because of you & your attention to detail. You truly have a gift! We've heard the same line, by multiple people--- if someone didn't have a good time, there MUST be something wrong with them. Everything exceeded our expectations!" "Hi Wendy! 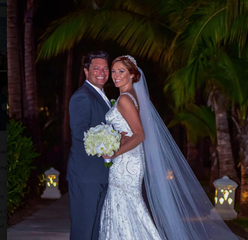 We had the most fabulous wedding and honeymoon!! Every single thing exceeded our expectations there was nothing that we could have wanted to change… what a romantic place for a new beginning!! It was like being in a dream .. many times I felt like someone should pinch me .. the staff the place .. they are BEST!! They know how to put on a wedding and how to make a couple feel like they made the right choice in venues!! We will be forever grateful for your help and guidance in the whole process – after all without you who knows where we may have ended up and what kind of story we would have to tell! "Thank you so much for everything, Wendy! The view was gorgeous, the dance floor was always full, and people said they had a great time- so we are happy! Your help was greatly appreciated and this day would not have be the same without all of your work!" 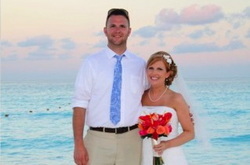 "We have arrived home from our amazing wedding/honeymoon safely and smoothly. The entire week was just so fun, and I think our wedding was perfect! I couldn't have asked for more. I cannot thank you enough for everything you did for us. You went above and beyond any prior conceptions I had about travel agents, and I don't know how on earth we could have pulled off our big wedding extravaganza without you. You were amazing, Wendy!"